Before you leave, swing by our office and sign a very short form called “Authorization for Treatment in Owner’s Absence” and we’ll leave it in your file in case of an emergency. That way, if we are unable to contact you, your pet sitter can make medical and financial decisions regarding your pet’s care until we can contact you. We will always provide emergency treatment but don’t want to delay referral or major treatment decisions because an owner is not able to be contacted for an extended period of time. Unfortunately it happens. We want to be prepared just in case! Okay, we’ve got your back. Don’t forget the sunscreen! Uh Oh! The cat just ran under the bed! But the dogs are in the back seat! Right, cats just don’t seem to share our enthusiasm for touring like we think they should, and maybe that’s ok. Most cats would opt for an alarm clock and a 40 hour work week long before they’d chose to go for an extended car ride so we usually opt to leave them at home. Pet sitters are a great option, or give us a call and Aunties Deb and Kindi will have a room ready for them here at the CVC! We usually take a dog or three, so this article is geared more toward traveling with dogs. Besides their food, kennels, beds, and other supplies don’t forget the first aid kit! We usually combine our own first aid kit with theirs as many of the items are duplicates. A tackle box works well for me except that I have a duplicate one that has fishing tackle and once I grabbed the…. aw, never mind!. Tape an inventory list inside the lid of your first aid kit. Include your veterinarian’s phone number so you can call for advice or a prescription refill if needed. Customize your own kit to include items specific to your pet’s needs. Always carry a current rabies certificate for your dogs. A photo is also helpful if your pet should get lost. Most supplies are commonly available at your local pharmacy or at the Cornelius Veterinary Clinic. Need help? Call us at 503-536-2487. If you want to take a look in Dr. Bob’s First Aid Kit click the link! • Dimenhydrinate(Dramamine) 50mg (1 per 20 lbs prn motion sickness). May cause sedation. • Any medications your pet is currently taking. It is also a good idea to take a copy of your pet’s rabies certificate and microchip number with you and a photo. Remember to pack human first aid supplies for yourself also! Your first aid kit is a convenient place to carry Band-Aids, bandage material, sunscreen, etc. Please join us December 12th, 2015 between 10 am – 3 pm to get a pet picture with Santa. It’s $20 per sitting and includes two poses of your pets with Santa, a CD digital copy of your photos, a free gift bag and a raffle ticket for a chance to win a year supply of Frontline or Nexgard! As the weather continues to be hot and outdoor activity increases, please remember that rattlesnakes represent a potent danger to dogs. Like all cold-blooded animals, rattlesnakes are more active in the hotter seasons. Rattlesnakes like to bask in the sun most days, increasing the chances of encountering one when hiking, camping or on a walk in central and eastern Oregon. Young snakes are very dangerous, as they have poor venom control and will often inject all they have into each bite. Rattlesnake venom is extremely dangerous to pets, leading to excessive swelling and necrosis of the tissue surrounding the bite wound by disrupting the integrity of the blood vessels. 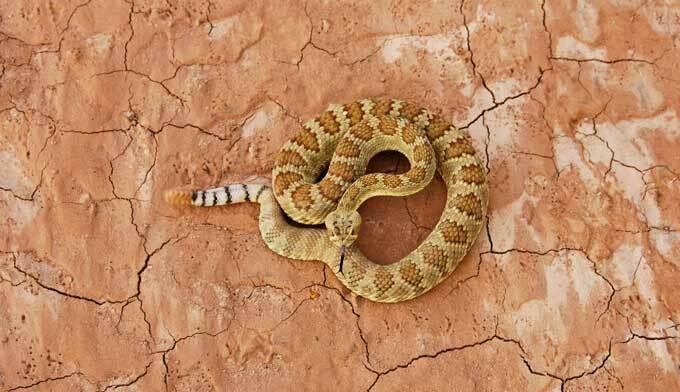 Rattlesnake bites should be treated immediately at the nearest emergency facility. Treatment may include hospitalization, where your pet receives intravenous fluids and close monitoring. Depending on the severity and physical location of the bite, anti-venom medication may be necessary as well. Remember, not treating your pet could lead to death. Pets have a difficult time staying cool during the hot summer months. This means they are at increased risk of dehydration and heat stroke. As an owner, it is important you take the necessary precautions to ensure your cat or dog is safe this summer. Always have abundant fresh, clean water readily accessible to your pet. Never leave your pet in a hot car. Vehicle interiors can soar to nearly 160°F on an average summer day, quickly overheating your pet to fatal temperatures. Do not over-exercise your pet. Outdoor activity in the summer months is more taxing than during cooler times of the year. Pets are susceptible to heat exhaustion and dehydration after even moderate exercise. When possible, keep pets indoors, in a cool, air-conditioned area. For the past 40 years we have had the honor of providing the highest level of veterinary care to the Cornelius community. Cornelius Veterinary Clinic is committed to providing excellent care for you and your pet family for many years to come. © Copyright 2019 - Cornelius Veterinary Clinic. Veterinary Marketing powered by iVET360.